Shop for women’s clothing, handbags, shoes, accessories and more Thursday, Dec. 13-Saturday, Dec. 15. Shopping times vary by day. 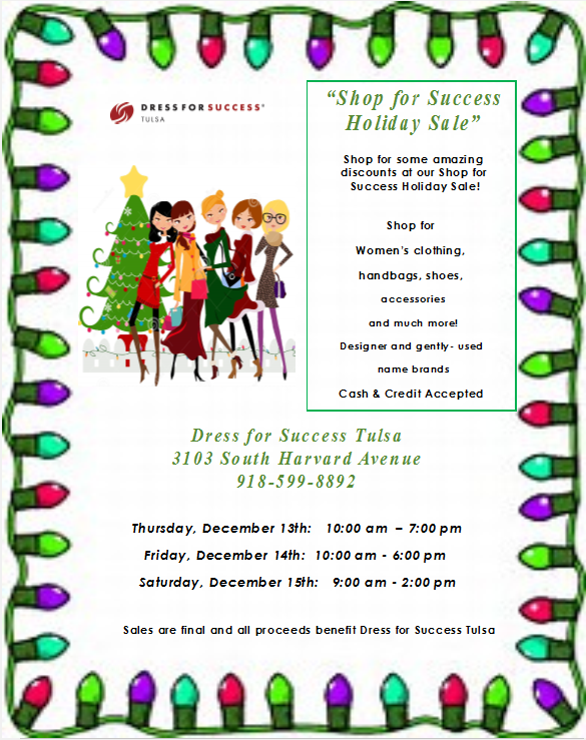 Sales are all final and all proceeds benefit Dress for Success Tulsa.